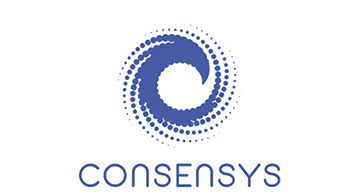 Consensus Systems (ConsenSys) is a venture production studio building decentralized applications and various developer and end-user tools for blockchain ecosystems, focusing primarily on Ethereum. The ConsenSys “hub” spawns, coordinates, incubates and accelerates “spoke” ventures through development, resource sharing, acquisitions, investments and the formation of joint ventures. These spokes benefit from foundational components built by ConsenSys that enable new services and business models to be built on the blockchain. ConsenSys is interested in the identification, acquisition, and development of talent and projects on an ongoing basis, in addition to the development of internal projects and consulting work. ConsenSys is a decentralized organization with personnel spanning four continents.